 Welcome to Leafly’s Product Reviews, where we take a closer look at a cannabis gadget, accessory, or consumable, and give it a test spin. Today we’re trying out the Pax 3. I’ve only ever personally used the first Pax vaporizer in the past, so taking the much-slimmer out of its box for the first time was quite the surprise. 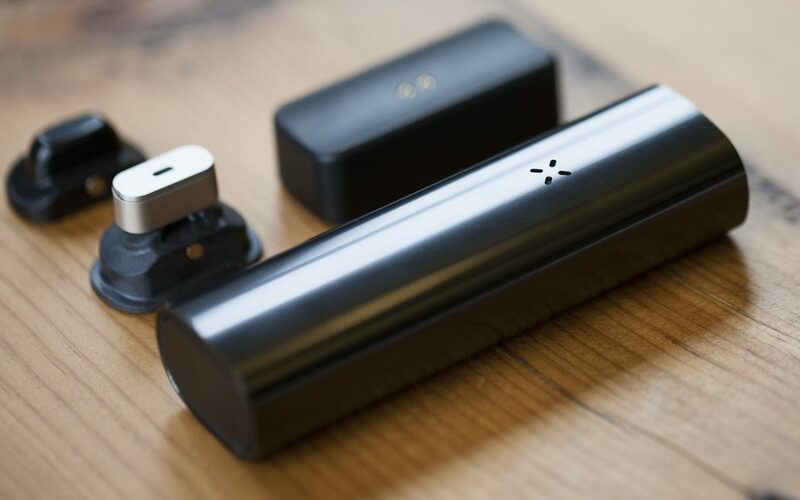 The Pax 3 comes in at the same dimensions as the Pax 2, which makes this device perfect for carrying it around in anything from front pockets to backpacks. The only button on this vaporizer is within the mouthpiece that you press for various functions. This design choice helps give the Pax 3 a very futuristic look by not having any outward facing buttons on the body of the vape itself. 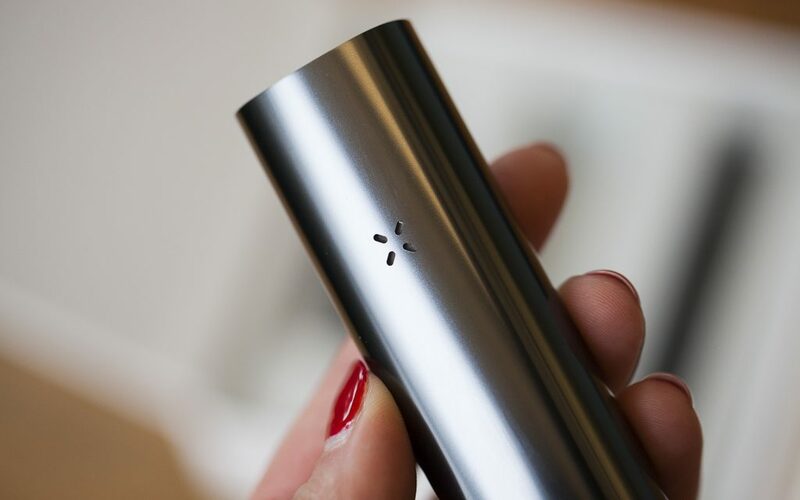 The vaporizer itself is built very well; its anodized aluminum body feels very strong and durable, and the high-polished finish is a nice touch that makes the Pax 3 feel very smooth and sleek. As far as aesthetics and portability go, you definitely won’t go wrong here picking up a Pax 3.  The combination of high-quality construction with a smooth look and feel makes this vaporizer perfect for anywhere you may find yourself. Because I received this unit before the Pax app was available for use, I’ll only cover my experience operating this pen with just the button. However, what I’ve learned about the app is that it will allow you to be more precise with your desired temperature for vaping. Loading the Pax 3 with your favorite herbs is the same process as the Pax 2. Pressing on one side of the lid at the bottom of the Pax 3 removes the magnetically-sealed chamber lid to fill with your flower of choice. I like that the folks at Pax included a multi-tool to help tamp down the herb into the chamber to avoid packing in too much material for optimal airflow. The Pax 3 sets itself apart from previous versions by also being able to handle concentrates with the included concentrate insert. Simply place a small amount of your concentrate of choice into the insert and replace the original chamber lid with the insert. For those who may not prefer the flat, open-slit mouthpiece that the unit comes fastened with, the Pax 3 also comes with a raised mouthpiece. I liked having this option for some customization, though I ultimately stuck with the default flat mouthpiece as I felt it made the Pax even more discreet while I was using it. Turning on and operating the Pax 3 was effortless thanks to the single button function in the mouthpiece. A quick press of the mouthpiece brings the Pax 3 to life. 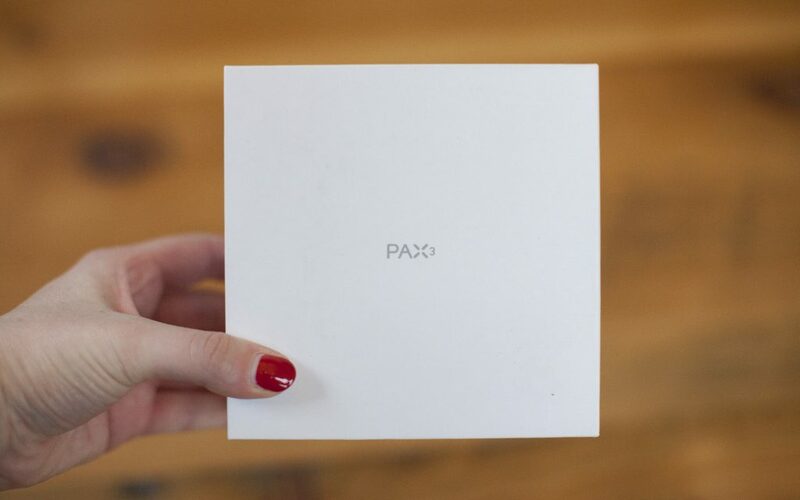 Holding down the button for a couple seconds allows you to change your heat settings — the four petals on the Pax 3 logo turns into colors that correspond with certain heat settings, and you can cycle through each one by giving another short press of the button. Checking your battery levels are pretty cool, too, as it only requires a quick, vigorous shake of the unit. The logo’s petals illuminate to indicate how much power you have left (one petal being 25%, two petals being 50%, and so on). Additionally, I was really impressed by how quickly the Pax 3 heated up; it’s advertised as only needing 15 seconds, which was pretty accurate (give or take a few seconds). The petals are purple when the unit is heating up, and once they switch to a nice, inviting green light, you’re ready to start inhaling and enjoying. The Pax 3 touts itself as a premium vaporizer, a declaration I wholeheartedly agree after having vaped with it. I was always able to get a nice, clean, and consistent amount of flavor and vapor from each hit, and having multiple heat settings really allowed me to extend the life of my bowls despite the somewhat narrow heating chamber. Don’t expect to blow huge clouds with the Pax 3. I wasn’t really able to get a large amount of vapor going on any single hit, but the reliably solid pulls from the Pax 3 made such a concern unimportant in the long run. Being able to slyly pull the Pax 3 out of my pocket, wait only 15-20 seconds, and then inhale to get a nice blast of tasty vapor was a level of quick convenience that I really appreciated, and the auto shutoff feature of the Pax 3 after only a few minutes was a nice touch as well. My concentrate experience with the Pax 3 was just as consistent, and even though I only had a small amount of wax in the chamber, I was still able to get a good, tasty amount of vapor out of it for multiple hits. I tend to be skeptical of dual-use portable vaporizers, but the Pax 3 gave me nothing to worry about, providing a consistently flavorful experience for either ground herb or concentrates. Another nice touch is that Pax included a maintenance kit with a metal tool and rough pipe cleaners, which made the job of cleaning the Pax 3 after multiple uses much easier. 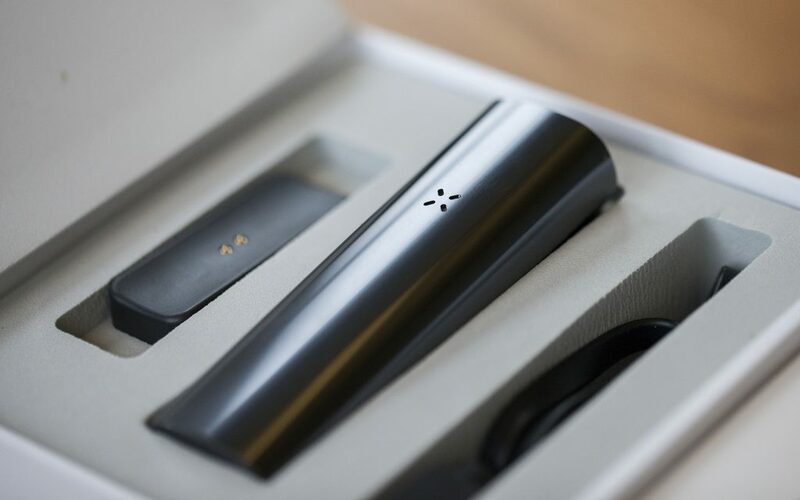 Overall, the Pax 3 is a very easy-to-use, stylishly discreet, high-quality performance piece of vaping equipment for either dry herbs or concentrates. 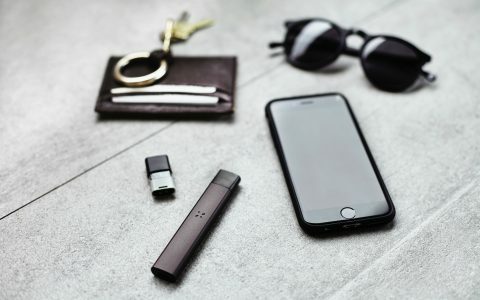 The functions are intuitive and very simple to use (likely even more so with the use of the Pax Vapor App), and I could always rely on the unit’s vaping performance for great flavor and consistent hits. You won’t have many big hits with this vaporizer, but the everyday, consistent, high-end vape quality you’ll receive from the Pax 3 is unrivaled and hard to find elsewhere. The quality and durability of the Pax 3 justifies its higher price tag. It’s an investment you’ll be glad you made — I recommend the Pax 3 for anyone who is looking for both discreet and high-end performance in vaping both flower and concentrates.